Here is a list of bitcoin gambling sites with their own faucets. They offer free Satoshis instantly deposited to your player account, that you can turn into a real profit. It’s also a good way to try the bitcoin casino out, learn the features and get used to the controls without risking any money. Stake offer a faucet based on level and wagered. 0.00000100 BTC is the minimum. To claim your faucet add and confirm your email first. Lucky Games Up to 2000 Satoshis BTC. The RainBot will send out 2 free bits every ~10 minutes. The RainBot link is on the chat. 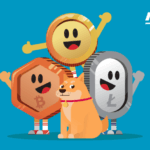 Fun CryptoGames Free 0.00001 BTC. All Players can receive funds on their account balance for free. After clicking Faucet button and solving Captcha, player’s account balance will be credited with 0.00001 BTC (0.001 LTC or 10 DOGE) right away. Faucet option can be used once in 10 minutes on one account or IP-address. BetBtc The amount you’re going to receive varies and can go up to 0.05 BTC. BetterBets Free 0.00000200 BTC every 5 minutes. The big difference with other sites is that you can claim faucets on betterbets even if you have a balance. To get the 200 Satoshis, click on the symbol next to your balance. Primedice The amount you can claim from the faucet is dependant on your level. From 0.000005 BTC at the lowest level. 99.9% Dice Free 0.000002 BTC. A claim can be made one time per account, per IP and per 5 minutes. FortuneJack You are eligible to receive free 0.00000523 BTC as long as your balance on all currencies remains 0. ChainRoll Free 0.000001 BTC every hour. Claim 1 Bits, only when balance of zero on your account. Bitsler Just claim their faucet and some satoshis will be added into your account. You can claim several times a day up to fifteen times maximum for new users and no limit for LEGEND users. DuckDice Get free coins to try the game! Free coins are given only if you don’t have enough funds to make a roll. The faucet amount depends on your wagered amount. You can claim from 0.0000025 BTC up to 0.00002 BTC! Bitwheel Claim Free 0.000001 BTC. Your account balance must be 0 to be able to claim free faucet money. Win88 Claim Free 0.00002 BTC if your balance is 0. BustaBit Free 0.000002 BTC. 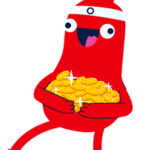 Claim 2 free bits an hour, so you can always play for fun and without commitment! BitcoinRush Free 0.001 BTC. play the Faucet Bot up to 3 times a day to sharpen your skills and if you can beat the bot twice – you win 10,000 satoshi or 0.1 mBTC! We hope that this bitcoin gambling with faucet list helps you discover the casino games while earning some satoshis. 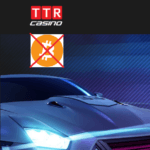 Keep in mind that most of the other sites reviewed by our guide gamblingwithbitcoin.com offer “free play money” and also bonuses for most of them.